Accelerate the move from paper to digital and expand financial inclusion by allowing corporations to pay any beneficiary, with or without their bank account information. Consumers and businesses today can receive payments in so many ways. Via an email address or a phone number. A mobile app. A digital currency wallet. Even cash at an ATM or collection kiosk. Yet corporate electronic payment methods still require payee bank account details, with checks the only alternative. It’s time for a change. It’s time for banks to provide payables services that let corporations pay any consumer or business, whatever their s preferred payment method. 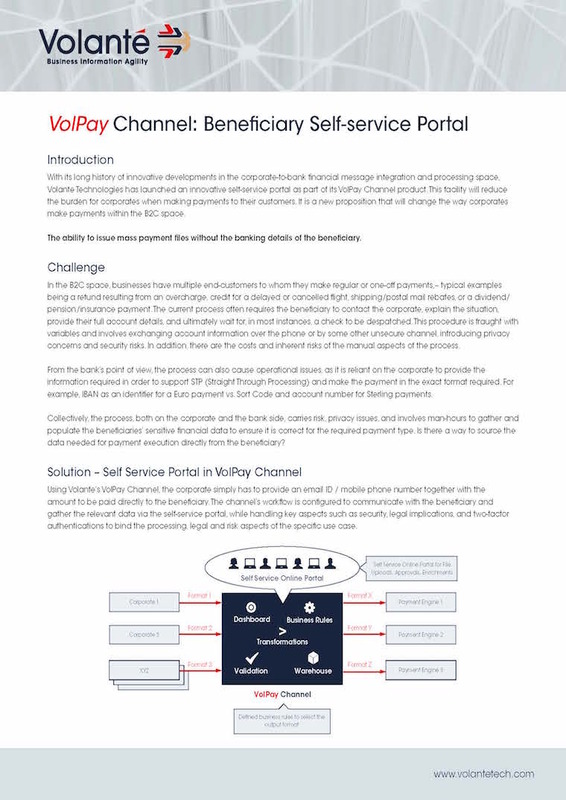 It’s time for VolPay Beneficiary Pay Link. Lets banks easily extend their payables services, through an innovative beneficiary portal that enables payees to select their preferred payment method and receive funds they way they want them.